I’m back with another installment of Foodies Read. This challenge is all about reading food-centric books (fiction, non-fiction or cookbooks) and reviewing them. I also like to make something inspired by the book. My goal is to read 1 foodie book per month. But then, I picked one off of my “to-read” list that I had completely forgotten was a foodie book! So here I am with my second foodie book for January. 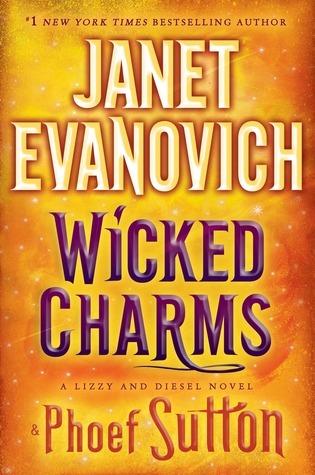 Wicked Charms by Janet Evanovich is 3rd in ongoing series about Lizzy & Diesel. Lizzy & Diesel each have special abilities. Diesel (with his middle finger flipping monkey, Carl) is on a mission to collect 7 empowered stones (each representing one of the seven deadly sins). Lizzy is a baker with the special ability to make extraordinary cupcakes! And she also has a knack for finding the empowered stones. 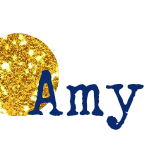 There is a whole cast of funny, quirky characters to add to the light mystery. 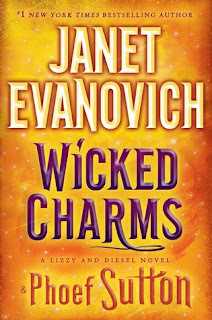 If you’re new to the series, I recommend starting with the first book, Wicked Appetite! Since Lizzy is a baker, I find myself constantly drooling over her confections. In this book alone, there are cupcakes, mint chocolate cookies, tarts, bananas foster, chicken pot pie, and steak and potatoes. And that’s just what I can remember! The bananas foster made the most appearances in this particular story and I couldn’t get it out of my head, so that’s what I made! Well, a French toast and not lit on fire version, anyway. I’ve never actually had bananas foster, but I saw a French toast on the menu at a diner once and it looked amazing! I never realized how easy bananas foster is to make! It comes together in about 8 minutes and it’s so delicious! Since there’s just a little rum (and no banana liqueur) in this recipe, there’s no need to flambé the rum fumes, it just cooks off. The amount of sauce below is perfect for two adults, while the French toast itself makes enough for the picky kids who want regular syrup. To make the French toast, heat an electric skillet over medium-high heat. Place the eggs, milk, vanilla, and cinnamon in a shallow bowl and whisk together. Dip the bread slices into the batter, one at a time, flipping to coat both sides. Add the dipped bread to the hot skillet (pre-greased if not non-stick). Cook for 2-3 minutes or until toasted. Flip and cook for another 2-3 minutes or until toasted. Repeat until all the batter is used up. Keep hot on a tented plate. Meanwhile, to make the bananas foster syrup, place the butter, brown sugar, cinnamon, nutmeg, and rum in a small saucepan over low heat. Cook, stirring occasionally, until the sugar melts and the mixture is thick and bubbly, about 3 minutes. Stir in the bananas and cook for another 2-3 minutes or until the bananas are coated and warmed through. 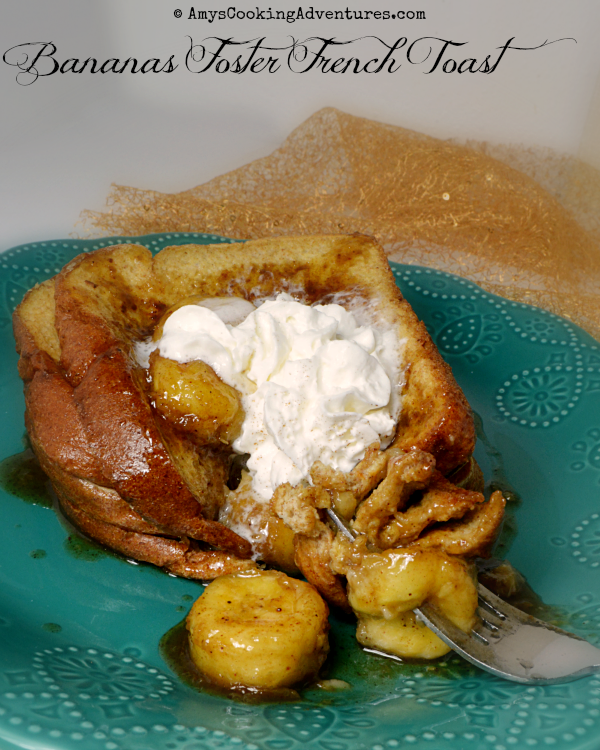 To serve, spoon the bananas foster syrup over a stack of French toast. Top with whipped cream and a dusting of cinnamon, if desired. I haven't read this series at all but I like her Stephanie Plum series. I should look for this one. 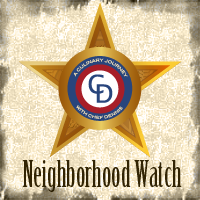 Love Janet Evanovich and love this French toast recipe! mmmm now MY mouth is watering looking at this french toast! I have never read any of her series before and feel like I need to one of these days! 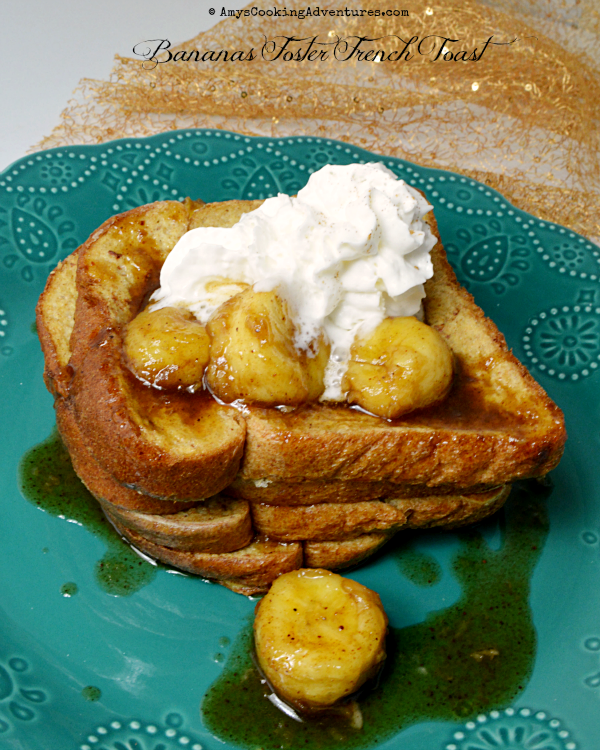 ;-) That French toast is mouthwatering--love Bananas Foster anything. I love French Toast! Yum!